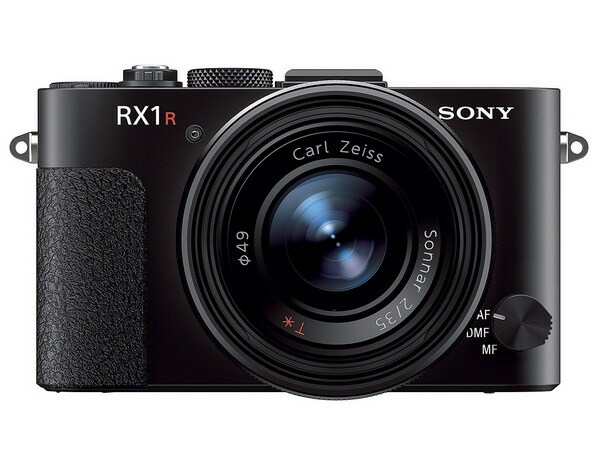 I just added a new page to the nav bar, this time it's a complete list of the RX series (Sony's fixed lens large sensor compacts) starting from the first model introduced in 2012 (RX100), to the most recent; the updated RX100 IV and RX10 II. Tamron introduces new full frame primes (also) for Sony 'A' mount. Tamron tries to help Sony resurrect their 'A' mount camera business by including a Sony mount alongside the far more important Canon/Nikon versions. New lenses include a 35mm F/1.8, and 45mm F/1.8. I can see the usefulness of the 35mm, but the 45mm is too close to 35mm, (or vice versa I suppose). I'm guessing they will be pretty good lenses at a good price, looks like around $600 each. Sony's world is the FE system right now, and though you can use the new lenses with an adapter on an FE camera, why on earth would you cripple your camera with a lens that's not made for it? In all honesty, it's hard for me to recommend any more 'A' mount stuff as I don't think Sony is going to keep it alive in any real fashion. I no longer use 'A' mount products. I'm sure they'll come out with another camera or two, then quietly pull the plug on the system altogether. It's been over three years since a new Sony 'A' lens was produced, which was the 50/1.4 Zeiss, along with newer versions of old lenses. The 'A' mount ship is dead in the water. Almost half of their lenses for that mount are re-badged Minolta lenses from the 1980s and 90s. Time to jump ship and board the 'E' mount! Sony 'E' mount lens chart freshly updated with all the latest lenses from all manufacturers. Huge selection of 'E' mount lenses to browse, find the lens that fits your needs here. There's a new B&H price check link in the first column so you can easily determine if the lens is on sale, or there are rebates available, or if it fits your budget. There are almost 100 Sony 'E' mount and a mount lenses available including legacy lenses, (not counting updated models), plus dozens of aftermarket models. All my lens reviews here. Remember, a mount lenses work properly on 'E' mount cameras, you just need an adapter, either the LA-EA4 (full AF) or LA-EA3, (manual focus only). It's been a long time in the making, but the new site is up and running, click the pic below or here to see it. I've posted the Sony 24-70mm F/4 lens review there, check it out now. I'm no longer going to be posting anything here, however, I will continue to update the site with new cameras and lenses from Sony, and linking to Photo Jottings. A big thanks to all the regular visitors over the years, and all the messages of support, it keeps me motivated to update the site! It's been quite some time since my last post, but I have been busy! The new site has been built, and is pretty much ready to go. I think it's going to work out great! Right now I'm trying to find the time to get some posts up so there's something to look at when I do reveal it. I do not plan to post any more reviews here, I'm going to work from the new site. The lens reviews will be all new, with full size images so you can make your own crops and see if the quality is what you were hoping for. I won't be shooting flat test charts at close focus, concrete block walls, or books on a shelf---well maybe for distortion purposed only! As I stated below, I'll be doing some film and scanning work too, and posting the results. Also, I've updated the camera database with all the new models, and will add the new lenses as they become available. I haven't been able to send the stuff contained here to the new site yet, and I may never do that. This site may end up 'frozen' in time, other than an occasional update for new Sony cameras and lenses. In reality, most of my reviews are old and outdated, especially the Minolta stuff, and I doubt any of that will get re-reviewed. It's time for new material and a better presentation. The future is almost here. Stay tuned! We're headed for the end of March and I've just made my first meaningful post of the year!! Yes, things are a little hectic right now, but I'm still working on the site. 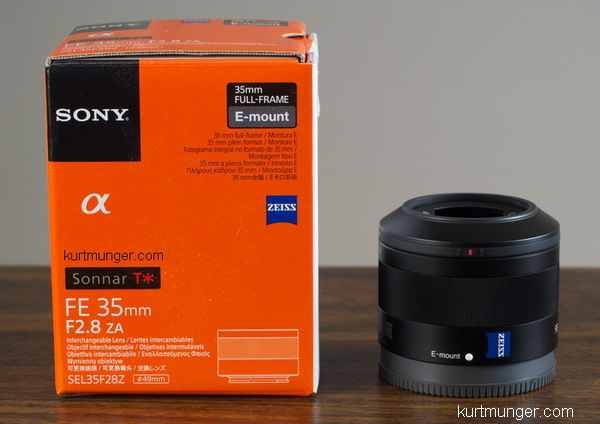 If you're bored at work, and have five minutes to spare, check out the review of the Sony FE 35/2.8, it's very small and lightweight, with a lot of optical quality packed in. It makes a good combo with Sony's new FF camera system. I've been using the Sony A7R for a few weeks now, although I have just over 4k shots on the counter I think I'm starting to figure it out. I haven't encountered the vibration issue that some people are complaining about with telephoto lenses, so no big deal there. I do find that 36mp is too much for most work, almost 207mb saved as a tiff! I'm now using the Sony 10-18mm F/4 on it, and get much more realistic files, 15.3mp in crop mode, for a saved tiff of nearly 88mb. I usually dump the RAW and full size tiffs when the job is finalized, but that may be weeks. Most of my work is for either commercial websites or Real Estate, so 36mp is too much; you only need about 2000 tack sharp pixels wide, a really good lens with 12-16mp is fine. I'd recommend the A7 for most people, that's what I'd buy if I had to do it over. The dynamic range and color depth are really nice, the shadows are really smooth and colorful close to ISO 400---way better than current Sony APS-C sensors. The Sony FE 24-70/4 does not look like a stellar lens if you can count on some of the initial reviews out there, it looks like it has the same optical characteristics as the Sony 16-70/4; we'll see. Some folks are writing about how much they like the micro four thirds system, but are concerned about the future of Oly/Pan, and if they are going to make it in the long run. I'm guessing the MFT system will, just like I'm guessing the Sony (Minolta AF) system will make it, both are having serious problems. Sony is now considered junk by Moody's, but apparently it's been junk before. Minolta, then Konica Minolta sold off it's camera business to Sony, but the legacy carried on, just with a different name; that could happen to Oly/Pan and Sony, same stuff, different name. Not totally related, but lensrentals.com has a good article out about the technology changes in the photography industry. Speaking of micro four thirds, over the past year or so I've been using the Oly E-M5 and several Panasonic lenses, and find they're great for just about everything. The zoom lenses are mostly very small and lightweight, even the F/2.8 mid-range and telephoto ones; compare the Panasonic 35-100/2.8 to Sony's new 70-200/4, the Sony is well over double the wieght and size, a stop slower and more money. If I had to live with only one system, MFT would be it. The trouble with a full frame system is that the lenses are going to be big (and so far, expensive), even if the camera itself is as small as a typical MFT body. Sure, F/2.8 full frame primes like the FE 35/2.8 are very compact, but there's no optical image stabilization, and F/2.8 is not fast for a prime, so those features, or lack of, tend to wipe out some of the benefits of the full frame sensor. Here's a quick fact for you folks that are wanting to get into Real Estate Photography as a starting point to a photography career. If you think using the process of HDR (high dynamic range) is the easiest way to get going, you'd be wrong, I know this as it's the way I started. A lot of people are using HDR, therefore you won't be offering anything different. I'd guess about 50% of 'photographers' in Tucson AZ (where I live) are using HDR for Real Estate and even corporate work. I'd also guess about 49% of the others are using a camera mounted flash or a couple of hotlights and calling it good enough. Decent HDR takes a lot of post processing and a long time, and still produces mushy dark areas; using a camera mounted flash has some serious limitations. To make matters worse for budding photographers, the lastest cameras have an HDR mode, and even Real Estate agents are learning how to use it; it isn't as good as what you can get in photomatix etc, but it's good enough for them. When I started using multiple off-camera flashes effectively, my business exploded and I had to turn people away, even as I raised my prices. Believe it or not, the quickest way to get great looking shots is getting it right in the camera, then you're close to being done, except for minor highlight/shadow tweaks, and downsizing the images and sending them to the client; about three minutes per picture. It took me about six months to effectively learn to use the off-camera flash technic, that's a long time, but there was no information out there at the time, I had to learn it by myself. With my 'coming soon' tutorial, you won't have to go it alone!! As promised, here's some info on the interiors photography tutorial I plan on for later this year. The format will be a separate area on the new website, not a CD or PDF. I'll build the lessons on a regular webpage, and here's the reason: CDs will have to be sent out, and cannot be updated or changed. PDF's are easier to update, but like most people, I want instant gratification, so when I post the information on a webpage, I can update it quickly, with either new information or to correct errors. Lesson plans: The basics first, like how to set up and use radio controlled off-camera flashes, and suggestions on what to buy. Then we'll look at how to properly expose the scene, such as trying to get an appropriate bright exposure without blowing highlights, like indoor lighting and bright outside scenes, keeping in mind your camera's flash sync limitations, and then filling the shadow areas with light from the flash. From here we'll move to compositions, with some suggestions for minor furniture and/or accessories repositioning. Additionally, I plan to add full sized, unfinished images for people to work on to get their lightroom (or other image enhancement software) abilities up to speed. I'll go through a whole Real Estate job from start to finish, with photos of the lighting placement, light levels from flashes used, camera settings, use of gels, and of course full sized files of each final image!! I'll show the tweaks I used with the photo editing software to produce the final image for the client. When you've successfully mastered Real Estate lighting, (or if you just want to skip ahead), we'll move on to more advanced lighting technics, such as using separation lighting to add more dimension to your scene, accent lighting to bring out texture and color, lighting exteriors at twilight, which really makes the scene pop, and a more lengthy lesson on using gels correctly. I'm teaching! Do you live within a days drive of Tucson AZ? I've successfully tutored others in the basics of Interior lighting. I'm even willing to teach someone right here in Tucson; I'm not afraid of competition, there's plenty of room for people doing high quality work. Honestly, I can't even recommend anyone here in town that does quality work at reasonable prices, however, I'm sure there are people that do great work, there just aren't very many. I don't know any other photographers as I'm not gregarious for one, and don't show off any work for fun or competition, that's kind of the nature of interior photography, not too many people like to check out interior pics, but I do love to peruse the lasted Luxe mag. Next up; thoughts on the new Sony FE system, and how it compares to Sony's APS-C system, and micro 4/3. So here's the follow up to the last two paragraphs of the post below about the future of the site. First: I have a lot of knowledge I want to share; of course I'll be reviewing all the new Sony lenses, but more importantly, I'll be adding more useful stuff such as interior lighting tutorials, correct multiple image stitching for extreme high resolution and super large print jobs, film scanning and the differences in a good flatbed (Epson V700 etc) and a good film scanner (Nikon 9000 etc) and editing tips in lightroom and my new favorite masking and layering software---onOnesoftware's perfect photo suite; it's much easier than photoshop! To present all this information correctly I need to be able to present very large sample images; I can't do it here, the site won't allow it, so I need a new site that will, and it will be photojottings, using wordpress. Presently, I'm trying hard to port all the pages over to the new site, but this is taking too long. Maybe I can find a way to do it quicker, and that's being looked in to! If I can't get all the pages over to the new site within this month, I'm going to just roll out the new site without any of the page located here, and start the new site from scratch and add these pages as I get time. Funding for this, and the new site. As I've explained in the last post, I have some health issues from being too busy with my photography business, mainly arm and shoulder problems from thousands of hours of tedious photoshop work over the past year or two, so I'm going to significantly back off on my business for at least this year, (I'm an interiors photogrpher in Tucson, AZ). However, I will still be adding to the site, but all will not be free; I plan on a premium content area within the site to post the most useful info, especially interior lighting tutorials. Most people will probably not be interested in this aspect of photography, but there isn't much information out there for people that are, and I get plenty of mail requesting help with this. More on this topic in the next week or two. The reason I'm trying to monetize the site is to make up the loss of income from doing less business. For those of you that think I have plenty of ads and product links, it isn't what it seems. Currently, most of my visitors come from Europe where Minolta/Sony is quite popular, unfortunately, most don't buy through my B&H Photo links, so there isn't much money in that, and let's no even mention the google adsense stuff, that's a joke, it won't even pay my hosting and updating fees like getting someone to fix problems on the site etc. This site is still a hobby for me, and I like that, but I want it to be a great source for people that are serious about technics and gear, and that will mean spending much more time adding to the site, with a more business like approach. Next week I'll try to give more details on the interior photography tutorials. Also, I'll post some thoughts on the Sony 'A' mount, the new Sony FE system, the Sony 'E' APS-C system, and micro four thirds. I use all four, and have been most impressed with the MFT system, but the new FE gear may change things. Hello everyone! It's been quite some time since I last posted anything; and a long time since I posted anything meaningful. I did not fall off a cliff, or decide to go find myself while traveling the world, I somewhat enjoy being lost all the time, and don't have enough money to travel the world anyways. Well, let's get reacquainted shall we? I've updated the site so it's now relevant for people looking for all cameras and lenses made by Sony, except the fixed lens stuff, and I plan on posting a new page for those items soon. The NEX stuff is now called 'E' mount, and includes the 'FE' full frame items along with aps-c. You'll notice the page names on the nav bar read, 'E' system, and 'E' mount lens chart. Here you'll find all 'E' mount lenses and cameras that Sony has produced since day one, and also some native 'E' mount lenses from Tamron, Sigma, and Rokinon etc. All 'FE' full frame lenses are now at the top, and separate from APS-C. The Recommended Cameras and lenses page still needs to be updated, plus a couple more pages. Unfortunately, I've had to reduce the number of items I recommended as some of them were getting stale, like the A77 and some sigma and Sony lenses. I doubt I'll be recommending any more traditional cameras and lenses as I don't use them; the future is 'E' and 'FE'. Traditional cameras are still relevant for some people, but there just isn't much excitement for me anymore. I sold my Canon 5D III and will use the Sony A7R exclusively for all work in the coming months. I updated the 'useful links' page, and added it again to the nav bar on the left, check it out here. Even more important than the info above, is the future of the site. I'm involved in totally updating another site called photojottings, it was up and running for a year or so, and I shut it down because I wasn't happy with it, and it's a mess right now while it's being worked on. It will eventually house all the pages on this site, but that will take some time as I have to manually copy and paste every text block, along with the thousands of images and tables. I plan on an initial roll-out without all the pages from this site, but I'm not sure when. Lastly, I've been having some health issues related to doing too much work on the computer. Shooting all day and processing at night for hours on end has taken a big toll on my shoulder and arms, and I may not be able to be very active in this field if I don't improve soon. In the event of a business shut down, I will still be doing this site, except there will be some changes....more to come next week!